How to have a great day when Prague weather is bad? You’ve just had a nice breakfast and you’re feeling all pumped up with fresh energy and ready to experience an exciting holiday adventure, but when you look outside the window, Prague weather makes you want to crawl back in bed? Don’t. Let ActiveCzech.com show you how to enjoy your holiday no matter what the weather in Prague is like. Have a look at our tips for fun indoor activities. Experience the freedom and exhilaration of free fall. Learn how to move your body in the air and fly in a skydiving simulator.Want to try? Order your own skydiving simulator experience. Your friends will not believe you’ve done it. Try surfing in the heart of Europe. Enjoy the fun and ride the waves. Want to try? Order your own indoor surfing experience. Escape a murderer from a lockup in a former atomic shelter. Test your endurance, wits and teamwork in a chilling escape room game. Want to try? Order your own escape room game. Discover the secrets of herbs and spice used in the exquisite traditional Czech cuisine and learn to pair a 3-course menu with premium Czech wines. Want to try? 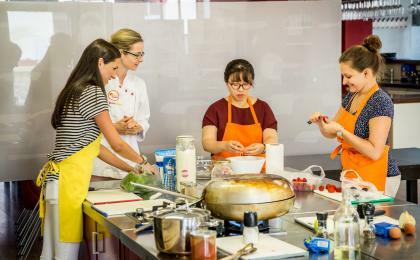 Order your own cooking class. Relax in style in a Prague beer spa. Boost your immune system with the sophisticated procedures and serve yourself beer from the tap attached to your bath. Want to try? Order your own Prague beer spa. Always wanted to try how it feels to handle a firearm? Visit one of Prague´s shooting ranges and get familiar with the most popular handguns.Want to try? Order your own shooting range experience. Today’s weather forecast for Prague is bad and outdoor sightseeing is out of the question? How about spicing up the gloomy day with some indoor adrenaline activity? Fancy experiencing the freedom and exhilaration of free fall? Fly in the vertical wind tunnel of a skydiving simulator or enter the Boeing simulator cockpit - feel the intoxicating power offlying a jumbo jet and guiding it successfully back onto the landing runway. 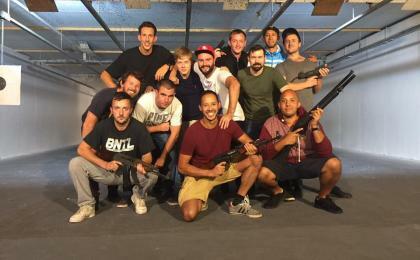 Or try how it feels to pull the trigger and get a training in gun handling at one of Prague's shooting ranges. Do you know that Czechs love the sea as much as you do? See for yourself andgo surfing in the heart of Europe to an indoor surfing arena in Prague. Learn a few tricks from the helpful surfing instructors, ride the waves and have some fun despite the weather in Prague today. Round up your buddies and set up for the challenge of escaping a murderer from a lockup in a former atomic shelter.The escape room game will test your endurance, wits and teamwork and make you forget about the rainy day in Prague. The delightful aroma of herbs and spice wafting in the air from a cooker is a sure recipe to feel cosy and content in any weather. Venture in the Chefparade Cooking Studio, its chef will be more than happy to introduce you to the secrets of Czech cuisine. 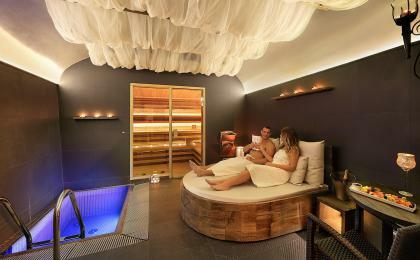 To digest so much excitement and good food, it´s time to relax in style in a Prague beer spa. The sophisticated procedures will boost your immune system while the beer tap attached to your bath will set your mood for another bad weather forecast for Prague. Now, wasn’t bad weather in Prague today good after all? Team up with ActiveCzech.com to explore more indoor activities that you will enjoy.